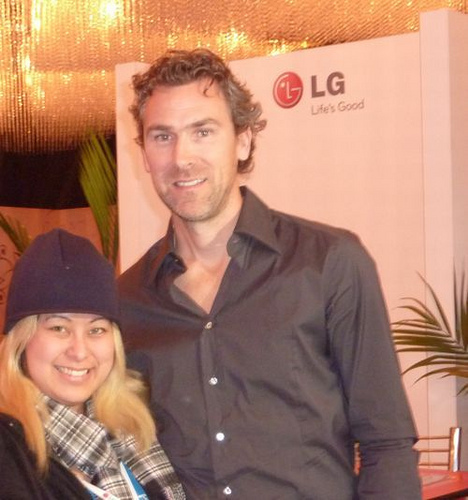 Both Peter Davies and April Smith of AHA MEDIA were absolutely honored to meet Trevor Linden! 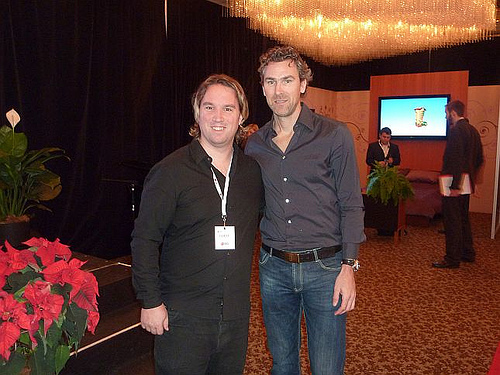 “One of the highlights of their lives!” Much appreciation and humble thanks to LG Canada and Trevor Linden!! AHA MEDIA is very excited to attend an exclusive meet and greet with Vancouver Canucks Legend Trevor Linden with the launch of LG Concierge Advantage! Trevor Linden’s career as an NHL hockey player and humanitarian has been remarkable. Trevor frequently visits B.C.’s Children’s Hospital and is a supporter and spokesperson for the Canadian Cancer Society and the Cancer Society Lottery of Hope, and Canuck Place, a hospice for terminally ill children. Linden has started a program for underprivileged children called Trevor’s Captain’s Crew, which brings children by limousine to a free hockey game complete with a luxury suite at GM Place. In 1997, he was awarded the King Clancy Trophy for his leadership role and off-ice humanitarian contributions, and the Gillette World Champion Award as the Canadian athlete who best exemplifies excellence in sports and compassion and humanitarianism off the ice. 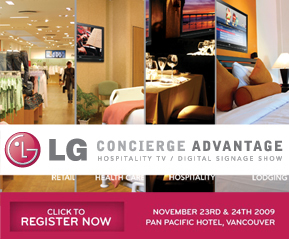 LG Electronics would like to invite you to attend an exclusive meet-and-greet with Vancouver Canucks legend Trevor Linden, to coincide with the launch of the LG Concierge Advantage, a new digital signage program specially design for the Canadian retailers. Thought shooting some home-grown talent like Trevor could provide the site with some interesting content for your readers. The LG Concierge Advantage combines not only LG’s cutting-edge display technology but customized solutions for leasing, servicing and financing—a true team effort. We’d love to give you a sneak peek at some of this technology and then get an autograph and have your picture taken with Trevor, who is on-hand to help celebrate the team approach that LG Concierge Advantage embodies. The BC Hospitality Expo trade show opens at noon on the day of this event so our meet-and-greet with Trevor will be the perfect lead-in to your 2009 Expo experience. AHA MEDIA is very proud to be invited to the LG Mobile Phone Roundtable & $5,000 Charity Challenge in Vancouver on Thursday November 26, 2009! AHA MEDIA is delighted to be invited by LG Canada to have a sneak peek at some of the newest LG phones! AHA MEDIA has always had a great interest in mobile technology and how it can help make lives better! 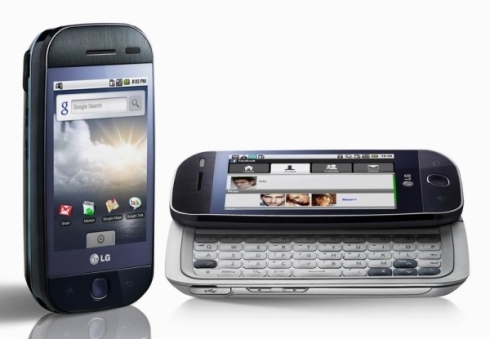 With lots of new gadgets coming out for the holidays, LG wanted to invite you to join your fellow media and bloggers at a reception designed to give you a first-hand look at the newest in innovation for mobile phones from LG. Come and try out the LG New Chocolate, which was recently announced at LG Fashion Week and the LG Eve, which made its Canadian debut this week. 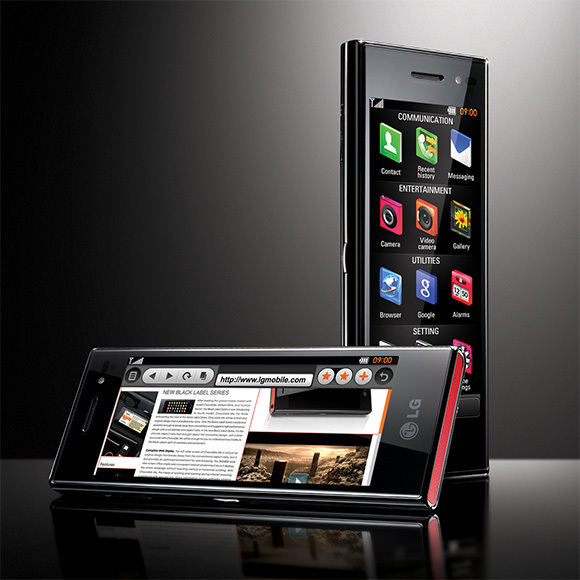 In addition, there will also be a sneak peek of a yet-to-be released phone, launching later this month. Following the session, we’ll invite you to participate in a friendly competition with an opportunity to win $5,000 for a charity of your choice. If you want to participate, there will be a series of fun challenges that will require you to use each of the phone’s features. Don’t forget to have your Facebook and Twitter accounts set-up! Complimentary food and beverages will be served throughout the evening, so come and join us for a drink! The presence of children in our community is the focus of this show of photo works by students from grades 4 to 7. Photographer and lead artist Anne Marie Slater collaborated with the students on an interpretive walk of Princess Avenue and their photographs reveal the sky, the street, and the industrial side of Hastings Street re-linking the historic north/south connection to the waterfront. The perspectives of inner city children are captured in photo stories and audio recordings, on view in the main gallery and in projections on the outside of Chapel Arts. Children Live Dream Here: Urban Landscapes is a community arts initiative with the participation of local organizations, community members and the support of the Festival and the City of Vancouver Great Beginnings program. people use mobile technology for journalism, self-expression, and human rights documentation. Hands-on demos and discussions will show you how to stream mobile video using a variety of free apps like Vimeo, Qik, Livecast and more. Learn about W2’s Fearless City Mobile project and its plans for 2010. Irwin Oostindie and April Smith work with Fearless City Mobile in the DTES. A Social Media revolution has been brewing for the past five years on websites from FaceBook, to Wikipedia, to Flickr, and as it spreads throughout the Internet and into popular culture through an increasing number of portals, it is creating a new sense of community and empowerment amongst those who have embraced it. History has shown that poor and marginalized communities stand to gain the most from leaps forward in the democratization of information, so the excitement in areas like Vancouver’s maligned Downtown Eastside about the possibilities of Web 2.0 and beyond is palpable. With the Winter Olympics less than a year away, billions have been spent in preparations and many poverty advocates are concerned about how the city’s several thousand homeless and working poor will fit into the equation as Vancouver puts on its best face for the world. Against this background the film examines Social Media in action as a group named Fearless City embarks on a campaign to empower and protect its neighbours with cellphones, video-streaming, and the World Wide Web. We at AHA MEDIA are striving to be even more mobile with our media production. We have been busy testing and exploring different livestream software and platforms with cameraphones and laptops. W2 Community Media Arts http://www.creativetechnology.org. AHA MEDIA got our start with Fearless City Mobile and W2 Community Media Arts as they peer trained us in learning about mobile technology and helped us bridge the digital divide in the Vancouver Downtown Eastside ( DTES ) – a marginalized inner- city of Vancouver.